For me self-care is essential to long-term health and balance in my every day life. Self-care are all those intentional actions that we do to care for our mental, emotional, and physical health. The health of your body, mind, and spirit are essential to safeguarding your wellbeing. Despite, the many benefits of self-care, many people find it challenging. Without self-care, people become burnt out with important areas of their lives such as work, home, school, and even community. Self-care is in my face daily because of my profession. Working in the human service field requires that you have a self-care plan and practice it. As an Outpatient Therapist, I spend my days allowing my love and light to pour through me, out of me, and into others. After therapy sessions, it is a must that I intentionally do things that allow all my love and light to replenish, close off, so that I leave enough inside of me. In turn I can still be whole, balanced, and still filled with love and light. Service work takes a lot of energy. Service workers spend much of our time educating clients how to nurture themselves so it’s only right we practice what we preach. Self-care begins and ends with your mental, emotional, and physical states of being. Mental and Emotional health. It is vital to our functioning that we are mindful of the way in which we think. I have learned through real life experience and observation that our thoughts, emotions, and behaviors are all interconnected. We are what we think. We become what we believe. It is so important that mentally we have a healthy state of mind. In turn we can regulate our emotions in and be present in all that we do. I admire, Chopra Deepak greatly and hold on to a lot of his teachings. In a guided meditation I did he stated, “our true nature is happiness.” He discusses how we are born to be happy and this only changes because of us. We control how we think and how what we think impacts us. We often place blame on others for how we feel when in it is us who is to blame. Self-care includes reframing our thoughts and viewing the world and others just as they are and not how we want them to be. Self-care also includes being mindful of the company we keep. Relationships are important to all of us, but it is even more important to ensure that the relationships we keep are healthy. Human beings naturally feel the sense of loyalty to others. Most of our lives are spent on being honest, trustworthy, and meeting all of the other standards of what we have been taught that a good friend or family member is. What happens though, is we think so much about what we can do for others that we leave ourselves behind. We must learn to build healthy boundaries where needed. Self-care means protecting your peace and space. 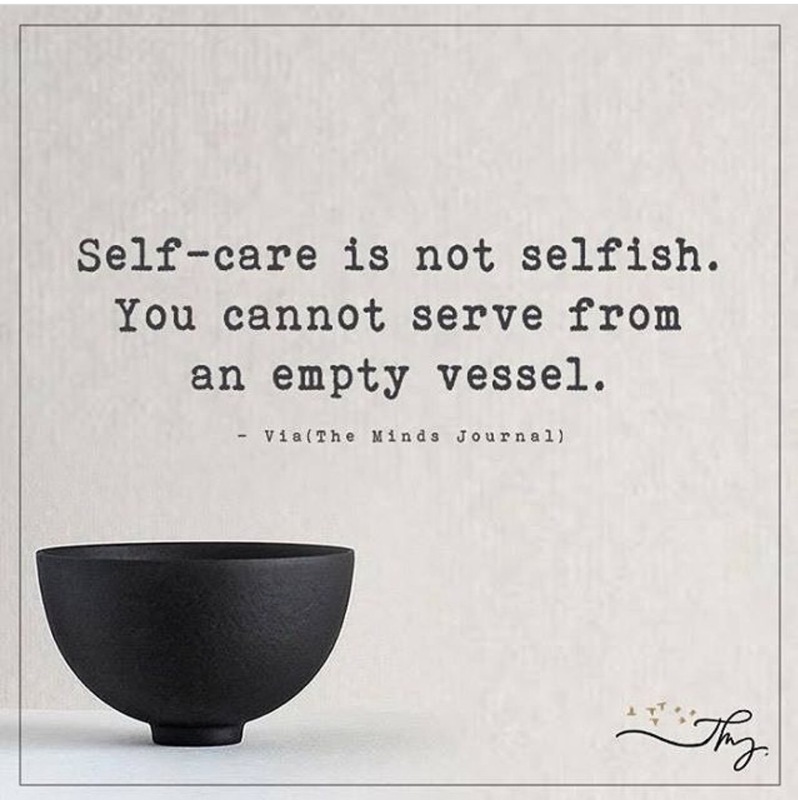 Self-care can be selfish and that is okay. It is important to remain focused on who you are and who you want to be. It is important to avoid comparing yourself to others and instead looking ahead and evolving. Grow. We have to love and live our lives the way we want and silence the noise of those trying to steer us in directions that we do not want to go. Self-care is being true to you. It is allowing yourself to recreate each and every day so that you can feel confident and feel as though you have a purpose in life. Celebrate yourself. Physical Health. We are made up of parts, pieces. We have bones, we have flesh. Just as we have mental and emotional needs, we have physical needs to. We have these points of being that if not aligned can become out of balance. To be fully whole and balanced, is to support your mental and emotional states while not leaving your physical state behind. The saying is true, you are what you eat. My blog is centered on 3 things Food, Fitness, and Fun. I did not come up with this out of no where. These are 3 things that we need and that are important to living a healthy lifestyle. Physical being is greatly connected to how we nourish and nurture ourselves. It is imperative that we feed our energy the right way. All that we are is made up of energy. Universal life energy. We are energy fields. We are frequencies, wavelengths, vibrations. We can either vibrate higher or vibrate lower depending on the life in which we live. 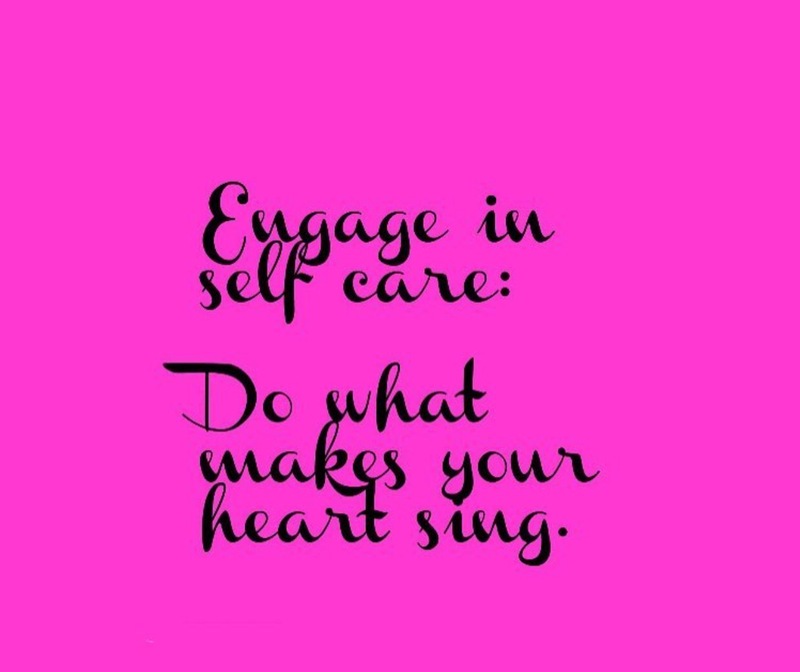 Self-care can help raise your vibrations. This includes becoming conscious of the foods you eat, eliminating drugs or alcohol from your life, reducing television time, increasing time you converse with mother nature, and engaging in activities that uplift, create, and allow you to experience. Ultimately taking care of you is the basis and basics of self-care. Being conscious of the way you think, the way you feel, your environment, the family and friends you keep, and your day to day activities. I hope this was helpful. Namaste. Previous Post Got Beef? Get Boca!